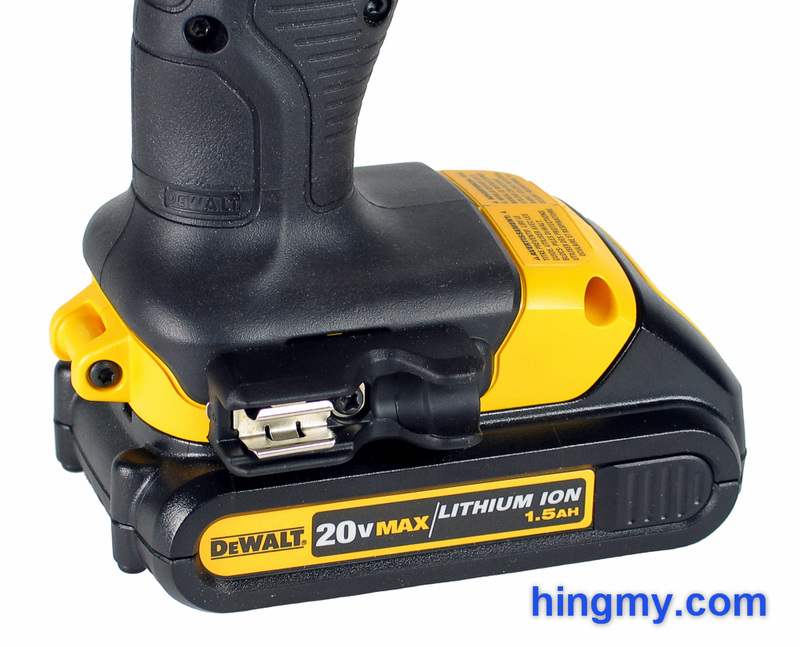 Next to the established 18V line DeWalt second significant battery system is the 20V MAX line. 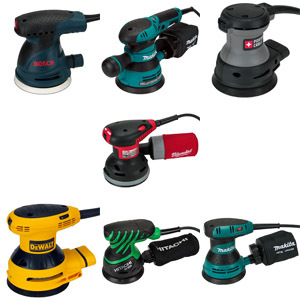 The system offers lighter, more powerful batteries on any tool that uses it. 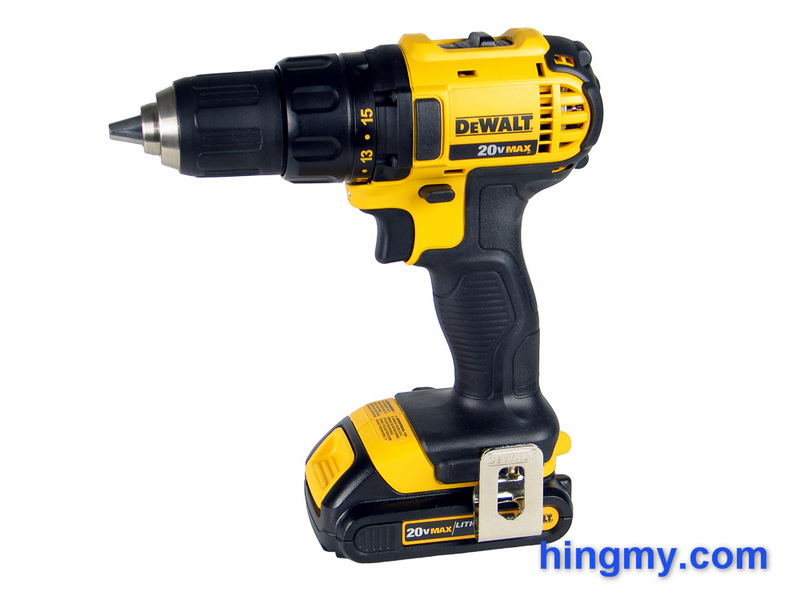 DeWalt's entry level 20V drill/driver, the DCD780, found it's way into our shop. It's said to be an excellent medium size drill that performs like a full sized one. Let's take a look at what a 20V drill/driver can do. The story of the DCD780 is that of a compromise between weight and performance. The designers of this drill tried to build a light, compact tool that still performs like a full-size drill/driver. They took away anything that was not absolutely necessary. What's left is a small drill that makes you think you are holding a full-sized model. The body of the DCD780 is made almost entirely from plastic. Only the gearbox and the inside of the chuck is made from metal. The grip is rubber coated to give the operator something to hold onto. Two rubber bumpers, one on each side, protect the tool when it is lying on it's side. The back of the tool is covered in rubber as well, presumably for the same reason. The batter is not, which partially defeats the all-around protection idea. All this plastic makes the DCD780 very light. 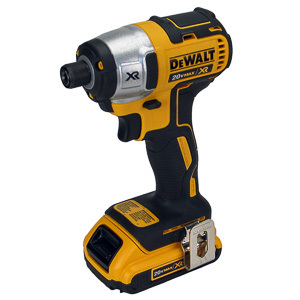 Combined with the compact 1.5Ah battery the drill only weighs 3.4lbs. 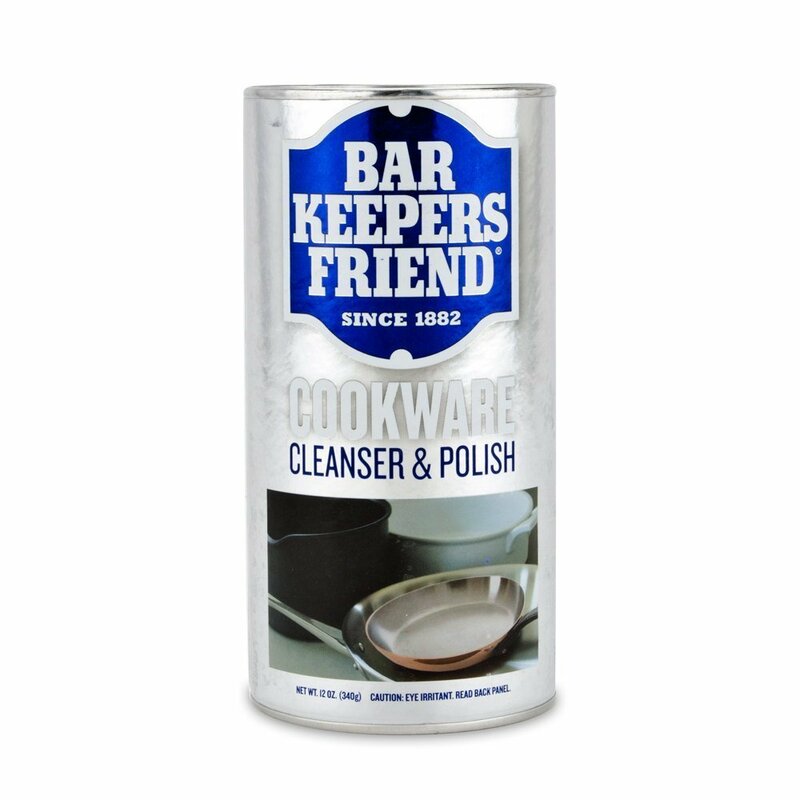 This is a great benefit when you have to carry the tool around all day long. On the negative side plastic is not as hard wearing as metal. While the body of the tool will last a long time, the plastic chuck is the most vulnerable part of the tool. While most of the vital parts of the drill are still made from metal, the DCD780 is not a heavy duty tool. 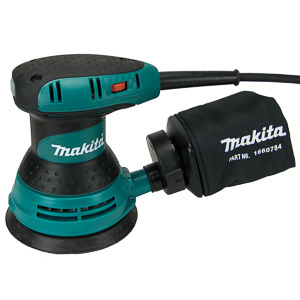 It is best used as a walk-about drill; a drill that sees occasional use on small projects during the workday. It will perform heavy duty all day jobs like its all-metal brothers, but it will not be as hard wearing in these situations. The drill has two speeds. A gear selector switch at the top of the tool switches between the two. The slower of the two options limits the drill to 0-600rpm; the faster to 0-2,000rpm. This puts the DCD780 into the middle of pack with regards to motor speed. The gear lever locks into place with a satisfying click. The trigger varies the speed of the drill within the range of the selected gear. When the trigger is pressed an LED light illumined the area right in front of the chuck. The light stays on for ~20 seconds after the trigger is released. This is unusually long for this sort of light to stay on, but it's also not unreasonably long. Unfortunately the position of the LED light just above the trigger cause the chuck to cast a shadow. In pitch-black darkness the light only illumines the area below the tip of the drill bit. The actual impact point of the drill bit is within the shadow cast by the shuck. The clutch of the DCD780 has 15 settings. As usual there is a separate drill mode, which locks the chuck. In our tests each of the clutch settings was a meaningful change from the setting preceding it. At the highest setting the drill almost sinks a 3" screw into a pin 2x4 without releasing. To protect the motor DeWalt has equipped the DCD780 with an automatic motor protection feature. If the motor draws too much current and is in danger of burning out, the drill shuts off all power. The user has to release the trigger and reengage it to bring the tool back to life again. This feature is very useful to prevent this medium duty drill from taking damage when it used outside of its intended usage range. A belt hook and bit holder is installed on either side of the tool just above the battery. Both can be removed and reinstalled on either side. The belt hook is well designed. It secures the tool upside down on a tool belt without too much sliding. The bit holder has room for only a single bit. It feels more like a gimmick that a necessary feature, but it's there if you need it. 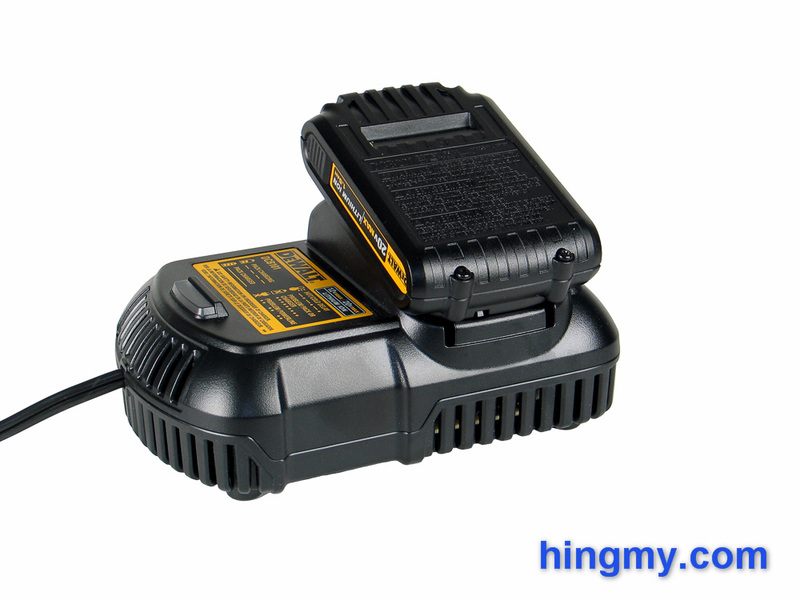 The kit version of the DCD780 ships with a battery charger and two 1.5Ah compact 20V MAX batteries. The charger has room for a single battery at time. Multi-battery charger are available as an accessory. If you need more staying power out of your drill, you can use the 3.0Ah 20V max batteries to double the performance of the drill. Doing so will throw off the balance of the tool and make it bottom heavy. The DCD780 really wants to be used with a 1.5Ah battery. Thankfully the compact batteries charge fast enough to make continuous use possible with only 2 batteries on hand. Picking up the DCD780 after working with my large XRP drill highlights the DCD780's greatest feature, it's weight. The DCD780 is very easy to maneuver and use. Small tasks get done quicker because less time is spent handling the drill. When used as a drill the DCD780 performs well. Drilling speed and power are on par with the middle of the pack. The drill had no problems powering a 1 1/2" Forstner through a 2x4. Smaller holes in hardwood were also not a problem. 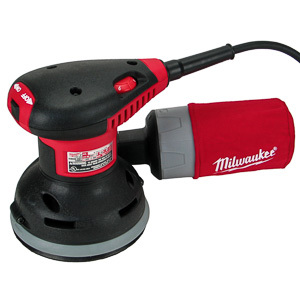 The DCD780 makes up any time it loses while drilling by being easy to handle. This is one of those drills that seems to be around all the time. As with all drill/drivers driving performance is mediocre at best. If you are careful you can sink a 3" screw into a 2x4 or a plywood header. As the screw goes deeper it becomes harder to prevent cam-outs. With practice the DCD780 can be used as a driver, but large jobs become laborious. A drill/driver simply cannot compete with a dedicated impact driver. Overall the best place for the DCD780 is on your tool belt. It comes out to drill a few holes here and there, and to sink a few screws below the surface that your crew did not quite driver far enough . The DCD780 will do all that without weighing down your tool belt unnecessarily. Sure, there are more powerful drills out there, but those are also more likely to be in your tool chest in your truck rather than on your belt. The DCD780 can be there with you. If I had to carry my drill with me all day, the DCD780 would be on my shortlist. For home users the DCD780 is a great option to get started with the 20V line. 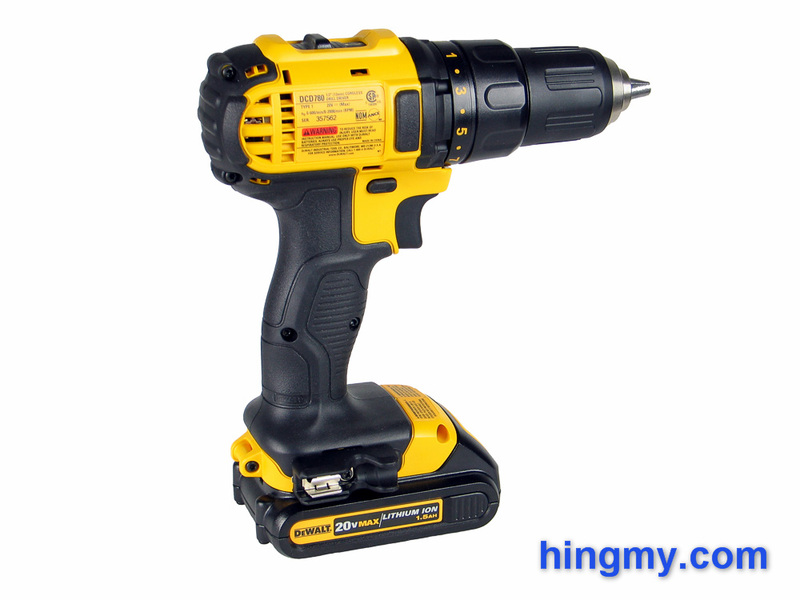 This drill/driver will complete any projects around the house. It is a professional grade tool that has enough power to spare to make each project fun. Looking toward the future the 20V battery system gives you access to whole line of well designed tools. The DCD780 is the entry level drill/driver in DeWalt's 20V lineup. It's best used as an occasional use drill/driver. The DCD785 adds a hammer mode to the feature of the DCD780. Otherwise the two tools are identical. The heavy duty version of the this drill is the DCD980. This model adds a metal gear housing and metal chuck. The batteries double in size to 3.0Ah, and the tool gets significantly heavier. The DCD980 performs significantly better than the DC780, but loses much of the handling benefits the lighter drill offers. The DCD985 adds a hammer mode to the package. 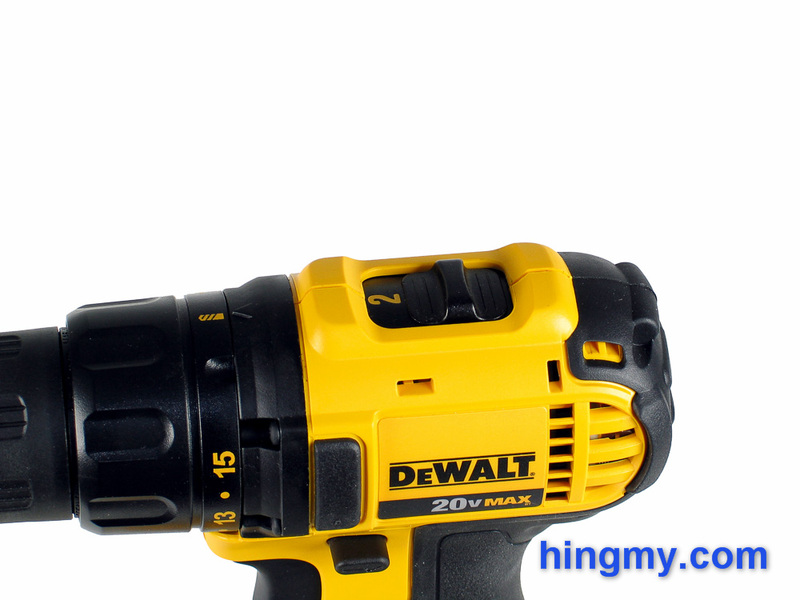 The DCD780 drill driver is DeWalt's entry level tool in the 20V range. 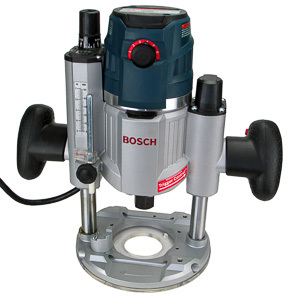 It has been designed to be as compact as possible while still performing like a competent drill/driver. 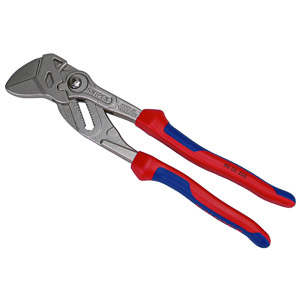 Most of the tool is made of plastic, which sets it apart from the all-metal heavy duty product line. The DCD780 is best used as a walk-about drill. It'll complete any small to medium scale project you ask of it, and it's light enough to go wherever you go. 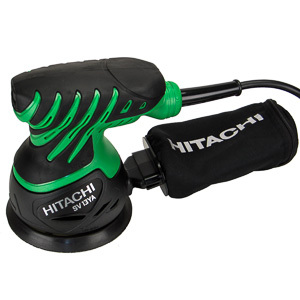 The 20V battery system allows this drill to find a compelling balance between power and ergonomics. If you plan on using this drill in heavy duty, all day operations, be prepared to accept a considerably shorter life of your tool. For residential users the DCD780 is one of the best options out there for a first drill/driver. 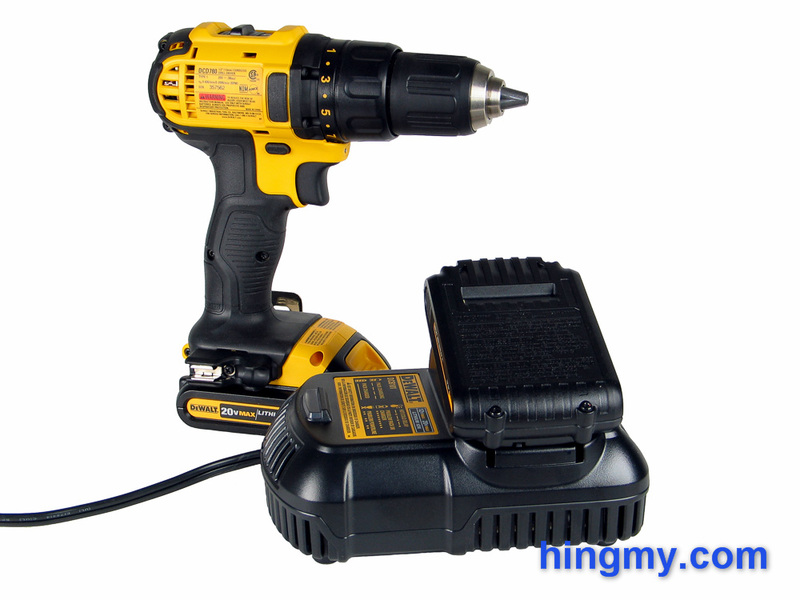 It can complete all tasks around the house a drill or driver is typically used for. The DeWalt 20V battery system offers many other tools you might want to consider later. Around the house the DCD780 is greater buy.